Rivers are known to play a role in human subsistence, economic, transport, and communication dynamics in many regions of the world. However, there has been little systematic investigation of how landscape features such as rivers might structure cultural transmission, such that this has a direct influence on cross-community patterns of artifactual variation. 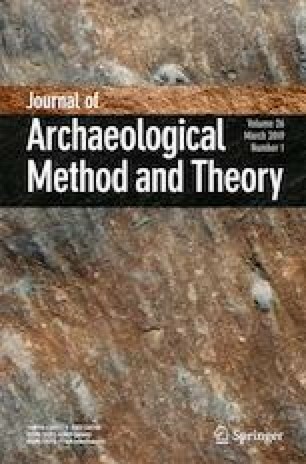 Here, we statistically explore the influence of river networks on patterns of inter-community material culture variation by utilizing spatial, linguistic, and material culture data from linguistically diverse peoples of the Upper Amazon region, using an ethnographic dataset recorded during the early twentieth century. When the geographic (“straight line”) distances among groups were controlled for, our statistical analysis found no relationship between inter-group material culture patterns and linguistic variation. We did, however, find a statistical relationship between the geographic distances among ethnolinguistic groups and their overall similarity as measured by material culture. This suggests that geographic distance is a more important factor in influencing pathways of cultural transmission among groups than language across the region. Most importantly, however, our analysis also found a significant relationship between riverine distances among ethnolinguistic groups and their material culture patterns. This relationship remained statistically significant even when taking both language variation and geographic (straight line) distances into account. Hence, this result strongly supports the hypothesis that rivers are having an influence on pathways of cultural transmission, and that they ultimately contribute to the structure of material culture patterns observed across the region. Accordingly, river distances and other landscape features may need to be more closely considered in archaeological studies when attempting to understand cultural transmission pathways influencing the spatial distribution of artifactual variation across communities. The online version of this article ( https://doi.org/10.1007/s10816-018-9369-z) contains supplementary material, which is available to authorized users. We are grateful to three reviewers (Warren DeBoer and two anonymous) for helpful and insightful comments on the text. The undertaking of this work was supported by the Research Foundation for the State University of New York for which both authors are grateful. Ersts, P. J. (2011) Geographic distance matrix generator (V.1.2.3). American Museum of Natural History. Available from http://biodiversityinformatics.amnh.org/open_source/gdmg. Accessed July 20, 2017.